Invoice Discounting is referred to as a funding option which are provided to businesses by finance companies. Under Invoice Discounting funding, the business uses its unpaid customer invoices as collateral to access immediate cash funds that improves the working capital and cash flow position of the business. Invoice Discounting is similar to debt factoring, however in factoring the business actually raises the funds by selling the asset (accounts receivable) to the finance company. Under the factoring arrangement, invoicing function is taken over by the finance company and the collection of the payments due on outstanding invoices. Under the Invoice Discounting funding arrangement the finance company will usually take a 'fixed and floating charge' over the debtors ledger (accounts receivable) as security for the funding arrangement. The finance company will then charge an interest fee based on the amount of funds drawn down from the total invoices raised. Generally, finance companies only allow businesses to draw down up to 80% of the total debtors value. This funding arrangement sees the business collect payments of outstanding invoices from customers and continuing to raise invoices. 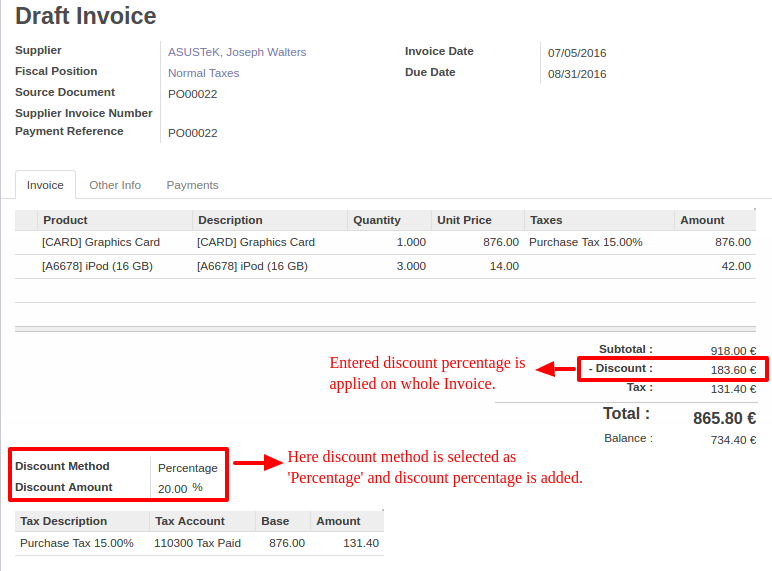 Invoice Discounting in so many ways improves the cash flow position of a business. This is because the business will obtain 80% of the credit sale (on account) as immediate cash rather than having to wait the usual 30-60 days it takes for customers to pay their accounts under the industry determined credit payment terms. This improved cash flow is critical for businesses experiencing fast growth. The disadvantage of Invoice Discounting is the cost and the reduction in funding capacity. Invoice Discounting is expensive (more than an overdraft) and giving up the asset 'debtors' as funding security makes it more difficult to secure other business funding arrangements like a term loan from a bank.